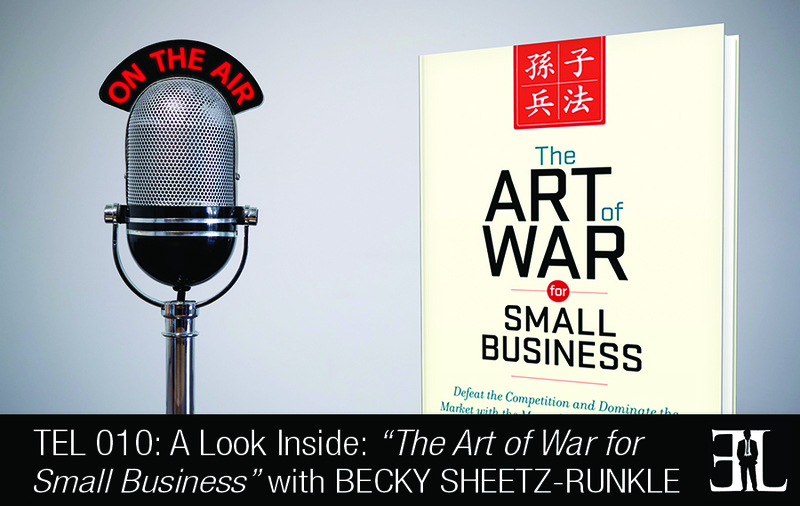 In this episode, Becky Sheetz-Runkle gives you a deep dive into her book The Art of War for Small Business. In her book, Sheetz-Runkle brings to life her belief that if small businesses took Sun Tzu’s strategies and applied it, they would be able to build themselves into mighty organizations. This book is for entrepreneurs who need a very practical and easy to read guide to applying the Sun Tzu style of business. There are a lot of books on The Art of War but this is the only mainstream book that applies Sun Tzu’s Art of War to small businesses. The belief that you are going to be successful, you’re going to win and get what you have set out to accomplish. You never fight a battle unless you know you are going to be victorious. The book is really practical and easy to read. I have a lot of illustrations throughout the book that make Sun Tzus words really practical and will allow businesses to learn how to apply his work. There are four parts and 12 chapters. The 12 chapters are especially for small business leaders and entrepreneurs. I give you 12 chapters, 12 concepts and 12 ideas that I really need to impart upon readers and broken those down to show you all the applicable passages and illustration’s. The first part is about seizing the advantage. The context is what the art of war was all about and what Sun Tzus objectives were and teaching you how to apply those to your small business. The second part is about understanding the essential pieces of Sun Zhu. If you read no more than this section, you will have graduated out of Sun Zhu 101. You will have understood the fundamentals of what this book can do for you. The basic keys are understanding yourself, your enemy and understanding the market. Part three talks about the principles for the battlefield. The fourth part we talk about maneuvering, adaptation, the spirit/energy that you need to be successful, deception and finally Sun Tzu in the future of your business. I am a Speaker, Author, Martial Artist and Marketing Consultant. My inspiration for writing the book was asking myself how Sun Tzu would adapt the principles from the Art of War to wage war and to wage peace for his small business and build it into an empire. I believe that if small businesses took Sun Tzu’s strategies and applied it, they would be able to build themselves into mighty organizations. If you’ve read the original Art of War by Sun Tzu, what do think about Becky’s version?